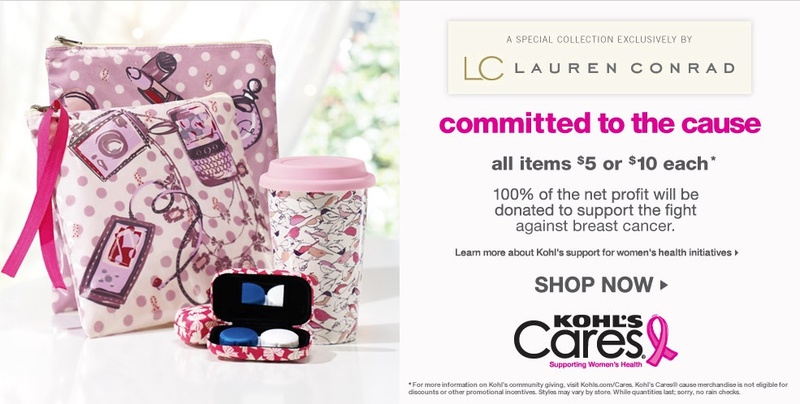 A new cause merchandise collection is now available from Kohl’s from now until early February. Designed by Lauren Conrad, 100% of net profits of the $5 and $10 apparel and accessories will be donated toward the fight against breast cancer. The collection will only be offered at Wisconsin Kohl’s stores and online. This campaign caught our attention because of its breast cancer focus and the fact that it was launched in November, not “Pinktober”, as many breast cancer campaigns are. In addition to classic pink products, this particular line also incorporates the color red to invoke a holiday theme. While not ideal, Kohl’s has earned enough consumer trust via its long term commitment to cause merchandise (and $208mm in associated donations) to credibly pull off “100% of proceeds” language.